Does a ring overcome everything? Lebron James’ free agent signing with the Miami Heat, his departure from Cleveland, and his NBA championship ring, are a study in public relations processes. Professor John Kerezy gives us an update. Not in the case of LeBron James. James still ranks among the most disliked players in pro sports and is also a perpetual fixture on many National Basketball Association’s “Top 10 most hated” lists. But he has a Championship ring, and also earned another League Most Valuable Player trophy (his third) with the Miami Heat in the strike-shortened 2011-2012 season. He is arguably the best basketball player in the NBA today. “He also made a questionable move by holding “The Decision” and he didn’t handle his departure from Cleveland with maturity, but people hate on him because he’s great at what he does,” wrote Peter Emerick, featured columnist and analyst at bleacherreport.com, after James led the Miami Heat to the NBA championship in June. James was also named MVP of the NBA Finals. Basketball fans everywhere idolized James, but nowhere moreso than in championship-starved Cleveland, which won its last major professional sports championship nearly 50 years ago. “LeBron’s been pampered ever since his basketball career started to take off,” says Kenny Roda, a talk-show host on ESPN Cleveland radio. James-led Cavalier teams made the NBA playoffs on numerous occasions, even reaching the NBA Finals in 2007. Many believed an NBA championship was inevitable. But then came a six-game loss to the Boston Celtics in the NBA Eastern Conference semi-finals in 2010, from a Cleveland team carefully crafted to “get a ring for the King,” James. James’ image and reputation took a serious “hit” later in the summer of 2010, when – as a free agent – he explored playing for teams and ultimately chose to sign a six-year, $110.1 million contract to play for the Miami Heat. It wasn’t what James did, but how he did it that disappointed basketball fans everywhere. He also demonstrated immaturity and an inability to grasp the ramifications of his actions at the time. 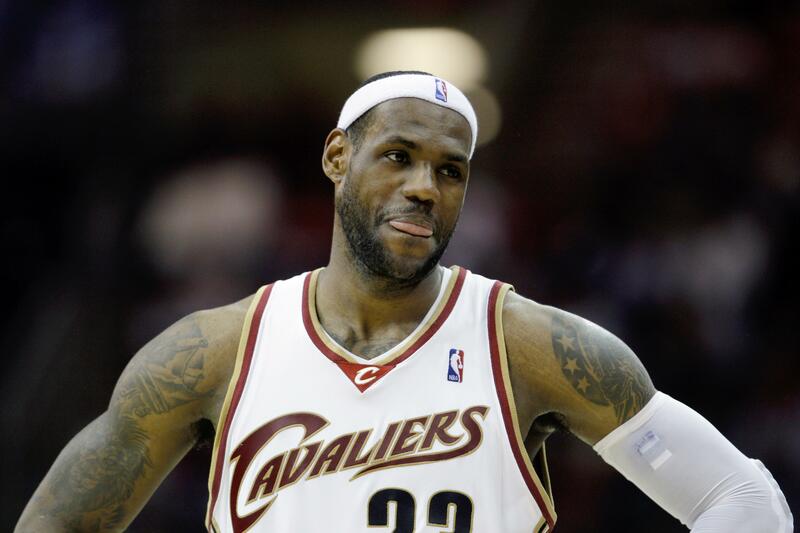 Both sports and public relations professionals panned James’ handling of his free agency. First through a lengthy interview on “Larry King Live,” and later with an hour-long ESPN primetime televised special called “The Decision,” just the opposite happened. James told the world that he was going to Miami, not back to Cleveland or to New York or Chicago or Los Angeles, which had teams also vying for James’ services. “The best he (James) could have done was to quietly inform the organization that’s bent over backward to coddle him that he was going elsewhere, so they could have begin planning for the next season,” says James Roop, president of Cleveland-based Roop & Company public relations. Fortunately for James, his on-the-court abilities matched the reason why he told the basketball world he was leaving Cleveland to play for Miami. It took two years, but the team featuring the “Big Three” of James, Dwayne Wade, and Chris Bosh became NBA champions. Of course NBA titles have a way of changing expectations. Fans in Miami expect a repeat, and players and fans everywhere else will be out to dethrone “King James” and his teammates. James’ story doesn’t end here, as there is an “opt out” clause in his contact that allows him to leave Miami after the 2013-2014 season. Would he do that? Given the economics of the NBA and LeBron James’ track record, there’s no doubt he’ll explore it, especially if the Heat were to win another NBA title in the next two years.